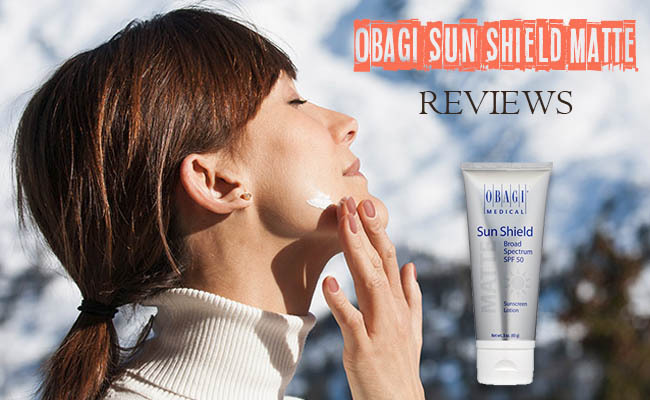 What is the Obagi Sun Shield Matte Sunscreen? How to use it and what’s it like on the skin? What about the final outcome? Finding a sunscreen that both works for the black skin and doesn’t leave a white residue can become frustrating. Luckily for all of us, the Obagi Sun Shield Matte Broad Spectrum SPF 50 Sunscreen doesn’t just protect your skin from sun’s bad UVs, but also does it in a classy way, without leaving any residue, white or oily. The cream is a broad-spectrum sunscreen that doesn’t just protects your skin against UVA and UVB, but also leaves a nice matte finish on your skin. The formula of the cream is effective and strong and keeps sun’s bad UVs at distance, but also protects the skin from the premature signs of aging. Due to its ingredients, the cream is also a valid option to use in case of infrared radiation, buffering skin from heat-derived oxidation processes. The cream keeps the ultraviolet, visible and infrared rays away from the skin for a good amount of time. You should use it for also minimize the risk of early skin aging. The formula is safe to use on most skin types and it should be included in the daily skin care routine, even on a cloudy day. This is simply because the cream is also anti-aging, so you can never be too protected against skin aging. The sunscreen stays on and doesn’t go away even if you go for a swim or sweat from all that her. The cream is non-commedogenic and doesn’t clog pores. We like it as it doesn’t leave a greasy or sticky feel to the skin. It lays very nicely and doesn’t create a mask-feel on your skin. It looks great and feels great too. The sunscreen blends nicely and you only need a bit of it for each use. Some feel the need to apply every 2 hours or so, but it all depends on your skin. The cream diminishes the sun spots and dries clear. It absorbs fast into your skin and doesn’t irritate the eyes either. Let’s not forget that it’s also a safe choice for the sensitive skin. It doesn’t have a strong scent, but a subtle one that doesn’t linger for long time anyways. The list of ingredients is fairly long and we’re only mentioning the most important ones. Zinc oxide 10.5%- this is the main ingredient that keeps the risk for sunburn under controls. It stops acne and is great for shrinking the pores too. It alleviates symptoms in rosacea and removes psoriasis. It’s great to use in case of cold sores and calms in case of eczema. It heals a damaged skin and offers UV protection. It also diminishes the appearance of melasma. Octinoxate 7.5%- it’s a UV filter that is easily absorbed by the skin. The formula doesn’t include PABA nor fragrance, which is why it’s a safe choice for the sensitive skin. Due to its matte finish, it also brings benefits to the oily skin. The cream is waterproof and doesn’t cause breakouts. The broad-spectrum is 50SPF and the lotion gives results. Last but not least, the cream is recommended for daily use by the Skin Cancer Foundation. There are many good things that the sunscreen brings to the table. From the protection against sun’s bad UVs, soothing of symptoms in various skin conditions, to the fact it’s waterproof and leaves a matte finish- the list of things we like about it gets rather long. One may not go for its price, but, nevertheless, the sunscreen still stands as a great choice for protecting your skin during the summer time. In the end, it all comes down to how much your skin and health is worth it.